Leading South East agency and surveying firm Stiles Harold Williams is marking its 220th anniversary next year with a new name, website and office. It has also revealed an acquisitive expansion strategy centred upon commercial property management to add to its dominant agency presence in its main towns. reflects the firm’s core values and growth ambitions, whilst retaining its strapline of ‘Making Property Work’. A few months ago, SHW opened its Bromley office which gives it greater access to the Kent market, as well as south-east London and the Thames Gateway. It brings SHW’s total offices to eight, stretching from the south coast to London and incorporating core hubs at Brighton, Croydon and Crawley. The firm has come a long way since its early beginnings in 1798, growing through a series of mergers to become a modern, multi-disciplinary practice. It offers more than 30 agency and professional services across both commercial and residential property, and is owned and managed by its partners. In addition to the more visible agency side of the business, half of SHW’s £12m turnover comes from property management and building surveying, adding financial resilience. The firm intends to further strengthen its commercial property management offering through a programme of targeted acquisitions. programme to pursue companies with a much higher turnover. renewals, building surveying and lettings." It’s a focus that is already reaping dividends in terms of business wins. Recent new management instructions include Park Mall shopping centre for Ashford Borough Council in Kent; Bang Bang Oriental Food Court in Edgware Road, London, the largest of its type in the capital; and a 44-property, mixed-use portfolio for a private family trust in Brighton. 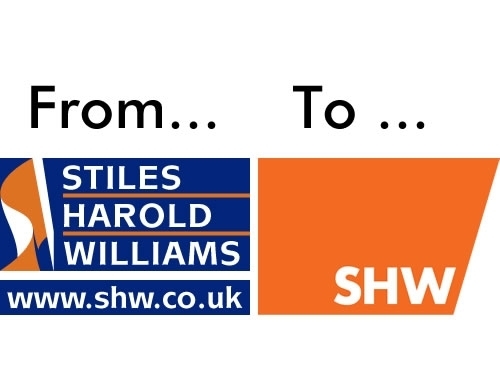 SHW now manages a commercial portfolio worth £1.6bn and 10,000 residential units. The firm’s clients include the Co-op, the Hyde Group, Virgin, Bupa, Shoreham Airport, Aberdeen Standard Investments, Clearbell Capital, Orbit Southern and some of the major landed estates. Martin Clark adds: “It’s been 20 years since our MBO from Alliance & Leicester, during which time we’ve grown into one of the largest surveying practices in the South East specialising in commercial property. Looking ahead, we want to reinforce this position by building on all our core strengths and using our detailed market knowledge to work with the best properties in our areas. “Our new brand will support our ambitions, reflecting the modern and vibrant culture we have established at SHW yet retaining a strong connection to our historical roots."